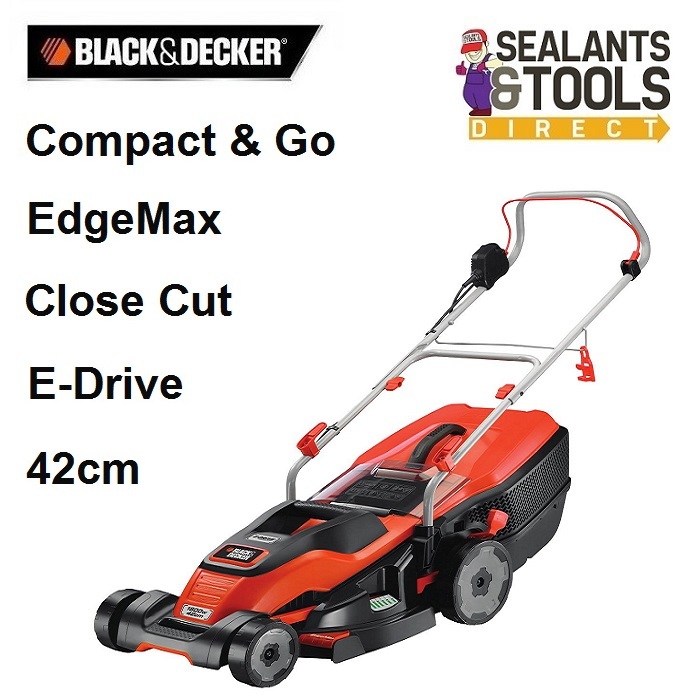 The Black & Decker EMAX42I 1800W 42cm. Collects 30% more grass for less time spent emptying. A high torque, high performance cutting system providing stall free cutting of tall and damp grass. Displays how full the collection box is and when it requires emptying. Adjusts the height of cut with a single movement. Allows for improved access under shrubs and furniture. Easier to lift and move around the home. Low fatigue switching moulds into the hand. Quickly folds down to reduce the footprint for easier, more compact storage. Cutting heights: 20, 30, 40, 50, 60, 70 mm.